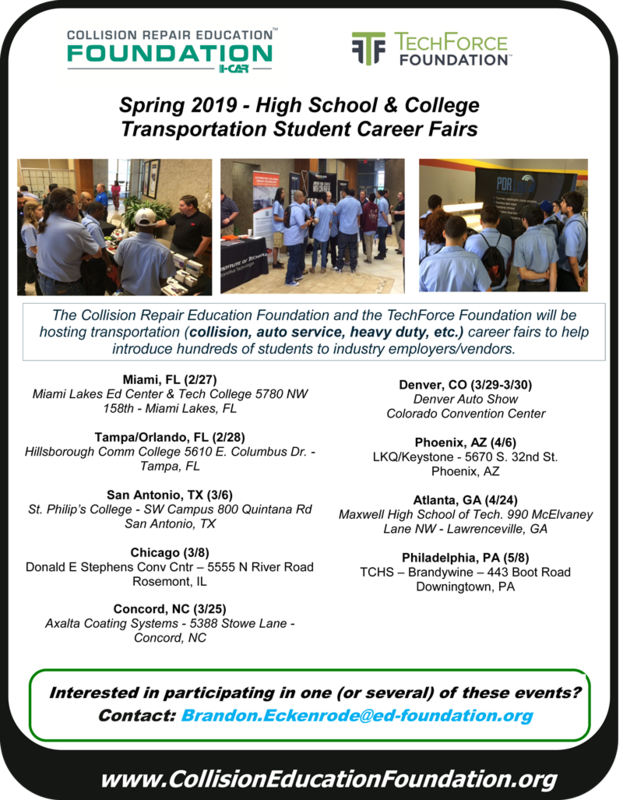 If you are with a school or business looking to participate with events, contact Collision Repair Education Foundation Director of Development Brandon Eckenrode at (312) 231-0258. Maxwell High School of Tech. Below is video highlighting the 2017 Auto Collision Experience career fair in the Philadelphia, Pa. market.